Place the 2 AAA batteries provided into the remote control. If your TV has HDMI (High Definition) connections, please connect the supplied HDMI cable from the HDMI output port of your USNile set-top box to the HDMI port or your TV. Please see TV instruction manual for the location of your HDMI port. If your TV is not HDMI equipped, please plug the enclosed Audio / Video cable (yellow for video, white and red for audio) into your USNile box and to the Audio / Video ports of your TV. 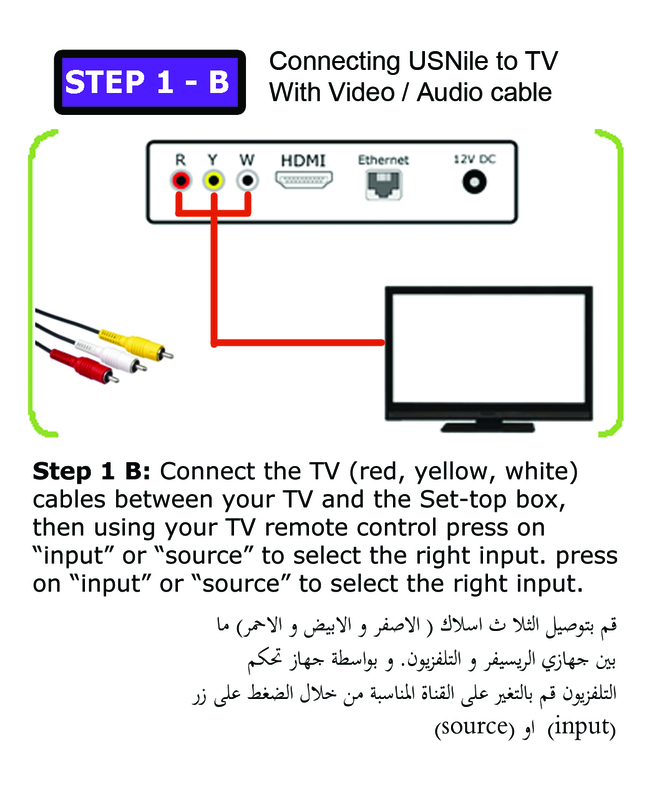 Consult your TV's instruction manual for the location of your Audio / Video ports. 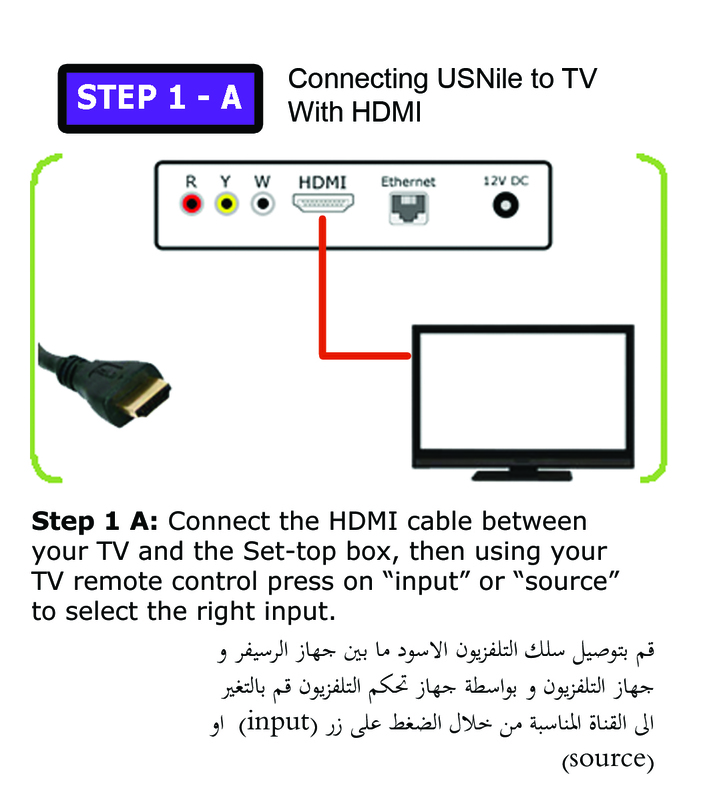 In order to display the channels coming from USNile, you may need to change the settings on your television set so that its input matches to the television’s physical connection to the set-top box by using the input or source button on your TV remote control. 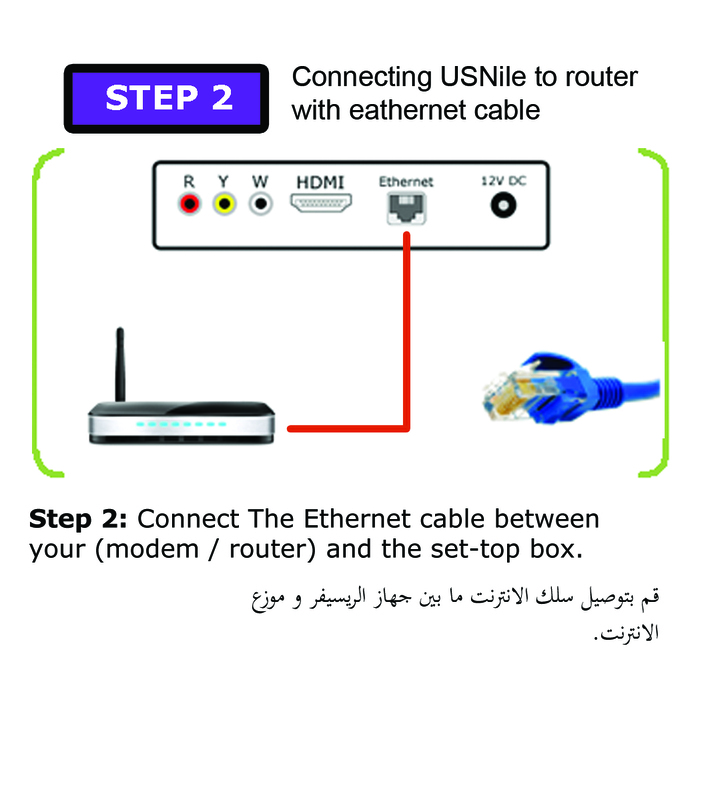 Connect the included network cable (Ethernet cable) from USNile ethernet port to your internet router. Note: if you have purchased the optional wireless USB connection kit, please follow the setup instruction for that unit. Connect the included 12VDC adapter into an available electrical outlet and the other end into #6 on your USNile set-top box. It is your responsibility to protect your USNile set-top box by using a power surge protector capable of providing protection to your box in case of sudden power surges. Power surges are not covered under the USNile limited warranty. If your USNile box is properly connected to the TV and powered on, you will see the set-plex logo on your TV screen. At power up, it is possible that the device will check the network and upgrade its firmware to the latest version. In this case, the power LED and network LED may alternately blink. When upgrade is finished, the device will automatically restart. The “POWER” LED will light up indicating that the unit is now powered up and ready for operation. 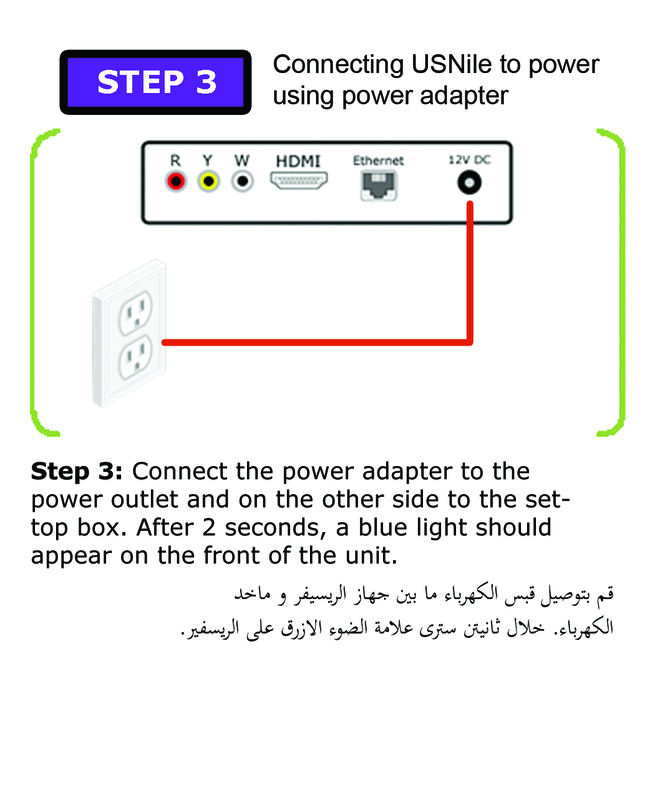 If you USNile box is properly connected, the power light will illuminate BLUE and within 60 seconds, the internet connection light (World icon) will illuminate RED. You should automatically be sent to the USNile main menu. At the main menu you can select the available options which are part of your subscription package. If you are not sent to the main menu, please consult the troubleshooting section of this guide. Your set-top box must have a valid subscription in effect to view television programming or use any features found on the main menu. When you press the red POWER button on your remote control, the USNile will go to standby mode (power “off” mode). If you encounter any problems with your device, please give us a call.